Do you have an older furnace because you live in an older Nashville home? Even if you have a new unit, sometimes the furnace smells funny when you turn the heat on for the winter. While this may be easily explained as dust burning off after sitting dormant for half a year, sometimes funny smells occur during the heating season and aren’t related to this “burn off”. What does it mean and what do you do? If you smell an electrical or metallic odor while your Nashville home’s furnace is running on a daily basis, it’s time to get it checked by a Nashville, TN heating contractor like Halo Heating & Cooling. 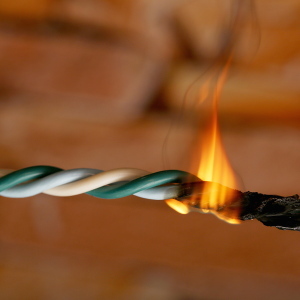 You see, these type of smells—a smell akin to a burning wire, for example—indicate that some component is overheating or literally burning inside the unit. This is obviously a fire hazard, so you won’t want to run the HVAC system once you identify this smell. But the good news is that according to this helpful post, these type of smells usually indicate a small component repair. 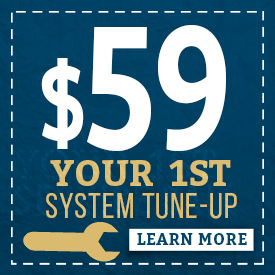 It won’t cost too much money for a Nashville, TN heating contractor to fix. You don’t want to try a DIY on this one, especially if it’s cold outside—you want it done right and fast so you can get back to heating your home! This is the big one—the one where you turn your HVAC off and evacuate the house ASAP. Rotten egg smell indicates a gas leak. Many Nashville homeowners have natural gas-powered HVAC furnaces, which puts them at risk for a gas leak. However, if your home does not receive natural gas—ie, the only energy bill you pay is electric—you don’t need to worry about this smell occurring in your home (and if you do, you’ve got bigger things to worry about than the HVAC!). The rotten egg smell comes not from the gas itself, which is odorless, but from the chemicals that companies put in it. The chemical additive in natural gas serves one purpose: to alert us to its presence. If you smell a rotten egg odor coming from your vents at any time this winter, shut off the HVAC at the thermostat, evacuate your home, and call the gas company immediately. 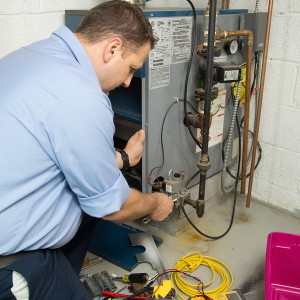 They can shut off the gas so your unit can be repaired by a Nashville, TN heating contractor. Finally, a smell that reminds you of dust burning, like we said, isn’t really a problem when you turn your furnace on for the first time of the winter. This fast-disappearing odor just comes from dust burning off and blowing through the ducts. But if you have a perpetual odor of burning dust every time you turn on the heat, you’ve got a problem, although usually not a very alarming one. In fact, this is one smell that means you can do a little DIY investigating to see if you can’t resolve the problem. First thing to do when this smell won’t go away is replace the air filter, even if you feel it hasn’t been long since you put a new one in. The smell could be caused by debris that the current air filter isn’t catching. You can also check how clean your air return ducts are, even look beneath registers in some of the rooms. If they are particularly dusty, this might be your culprit, and you can call in a Nashville, TN heating contractor to clean the ducts for you. If these things don’t resolve the smell, you need a professional over to investigate. It could be an indication of a serious problem. Number 2 on this list confirms this course of action. Has your furnace ever smelled funny? Be aware of the smells coming from your furnace this winter—metallic, rotten eggs, and ongoing dusty burning smells can all be alerts that something bad is wrong, and you need to take action. Have you ever caught your heater smelling weird? What did you do about it? Tell us your story in the comment section below!